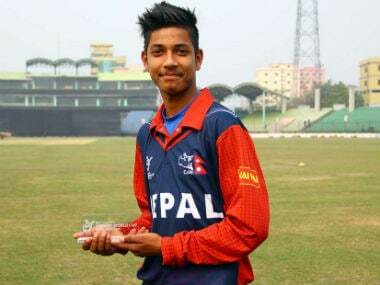 Nepal batsman Rohit Paudel became the youngest male cricketer to score an international fifty on Saturday at the age of 16 years and 146 days, breaking Sachin Tendulkar's previous mark. After months, arguably years, of conservative and stagnant selection, persisting with an established but ossified old guard, Nepal took a chance on youth. 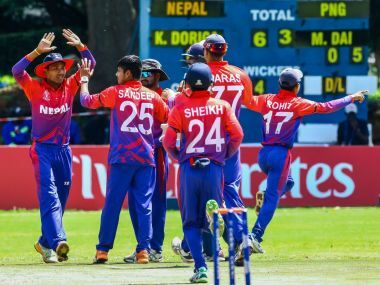 Nepal made history on Thursday as they gained ODI status after beating Papua New Guinea (PNG) by six wickets in the World Cup Qualifier play-off at the Old Hararians Sports Club. 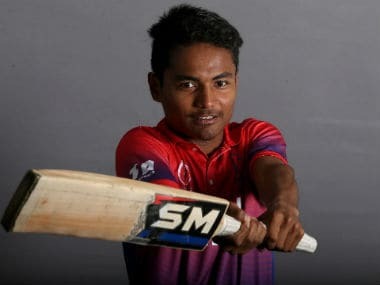 Sandeep Lamichhane on Sunday became the first cricketer from Nepal to land a contract in the Indian Premier League (IPL) when he was picked by Delhi Daredevils in the ongoing players auction in Bengaluru. Without two of their key batsmen, Prithvi Shaw and Shubman Gill, the Rahul Dravid-coached India couldn't manage a single half-century, with Salman Khan's unbeaten 39 being the highest. According to a report in Times of India, The Nepal Cricket team has roped in Ashai as the team's physio in their bid to qualify for the World T20 to be held in India in 2016. Nepal will fight it out with 12 other teams in the World T20 qualifiers starting from July 10 in Ireland and Scotland. Nepal head coach Pubudu Dassanayake wants the BCCI to support the neigbouring Himalayan nation the way it supported Sri Lanka when it was striving to become a force in international cricket. Nepal, who finished in third in the qualifier last time to secure a maiden World T20 berth, is looking to win the tournament this time. As Nepal continues to recover from the devastating earthquake, its cricket team too is picking up the pieces in Dharamsala, "a home away from home" as put by captain Paras Khadka.